Since life has been so crazy lately, I’ve been all about coming up with quick and easy snacks that both my little guy and I can share together. We usually like to have a snack mid afternoon to bridge that gap in between lunch and dinner. And believe me, he and I BOTH need that snack. He is running EVERYWHERE, which means that I’m running EVERYWHERE after him. 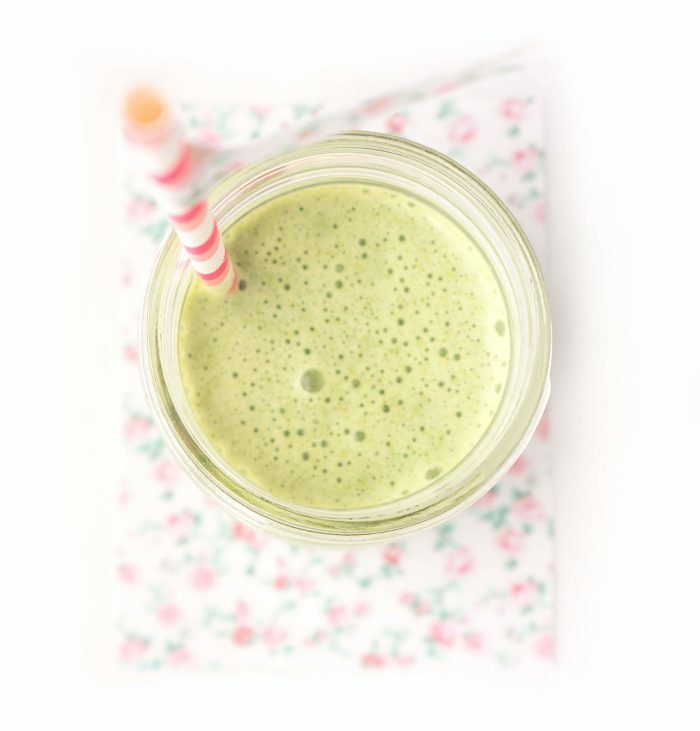 So that’s why we like to power up with this simple green smoothie . 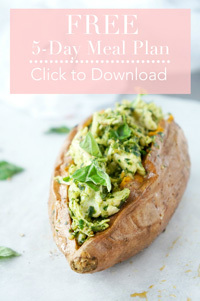 It’s one of those no-brainer recipes that you can whip together in a couple of minutes, but it’s nutrient-dense and SO refreshing! 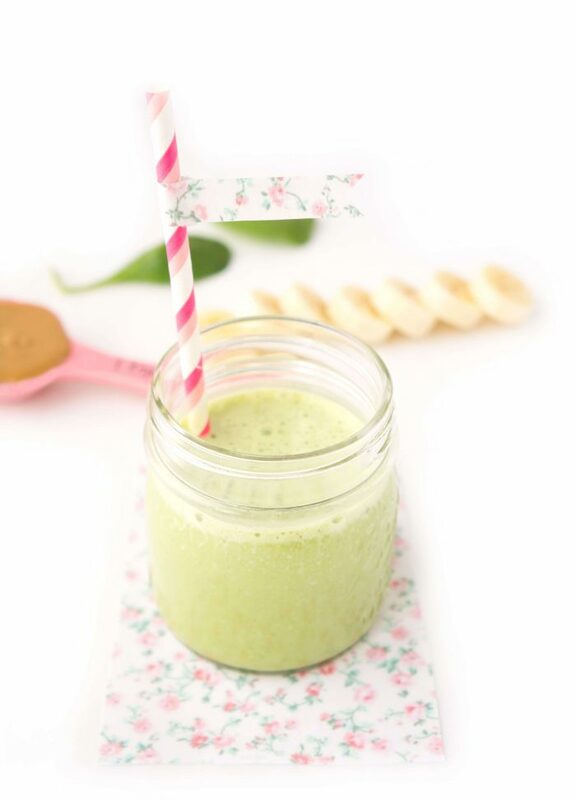 What do you need for this Simple Green smoothie? 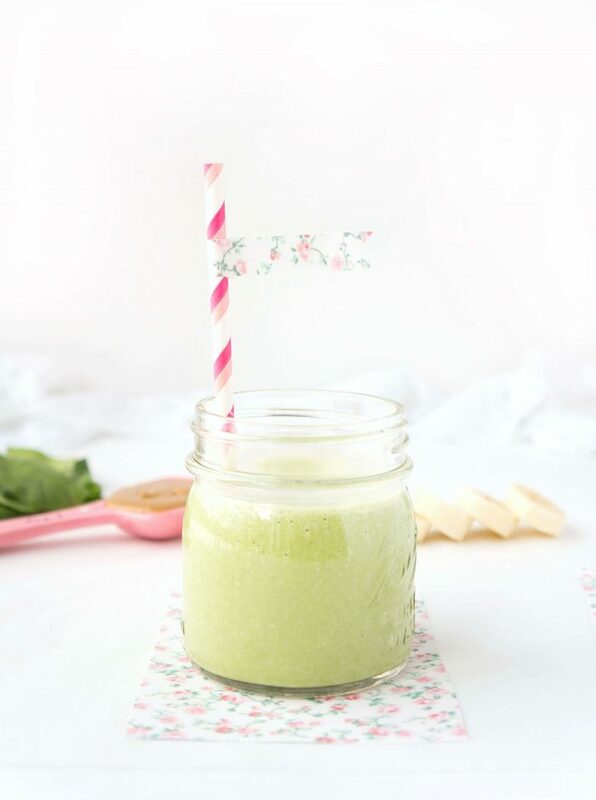 While there are endless options for what you can dump into a smoothie, what I like about this one is that it’s nice and simple (as the name states)! No fancy ingredients are required. In fact, the ingredients are staples that we already have kicking around in the house most of the time. So when it comes to snacking, I’m all about balance and consuming foods that will provide that satiety factor. We all want to stay full for longer, right? It’s a great way to add some extra servings of fruit and vegetables. This is especially useful for young children and adults who may not love the taste of fruits and veggies on their own. When you blend it all together, suddenly that spinach tastes pretty amazing. It’s a source of protein, fibre and healthy fats which will leave you feeling full for longer. It’s portable, so it’s great for taking along with you in the car or on the run. It’s easy! Did I mention that it only takes a few minutes to whip together? We like to use our Ninja blender to blend it all up. 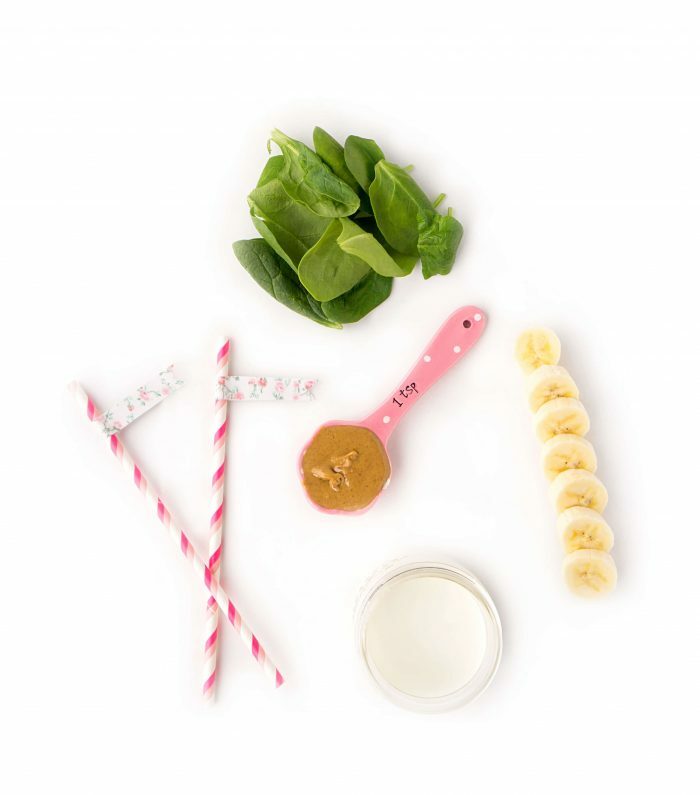 It whips everything together into a nice and frothy smoothie in a matter of seconds! It’s a snack that both little ones and adults can share! 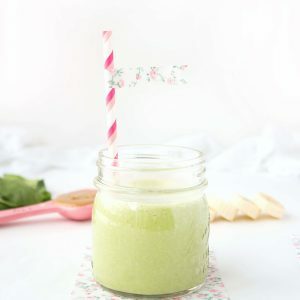 When making this smoothie, I recommend using a natural peanut butter to eliminate the extra additives like sugar, salt and hydrogenated oils. When you check out the ingredients list, it should only list “peanuts” as an ingredient. When it comes to milk, for adults, you can choose any milk or milk alternative that you prefer. I like to use an unsweetened almond milk since dairy doesn’t always agree with me. For little ones under the age of two, use whole milk for the extra fat and calories, or an appropriate substitute if they can’t have dairy due to an allergy or intolerance. 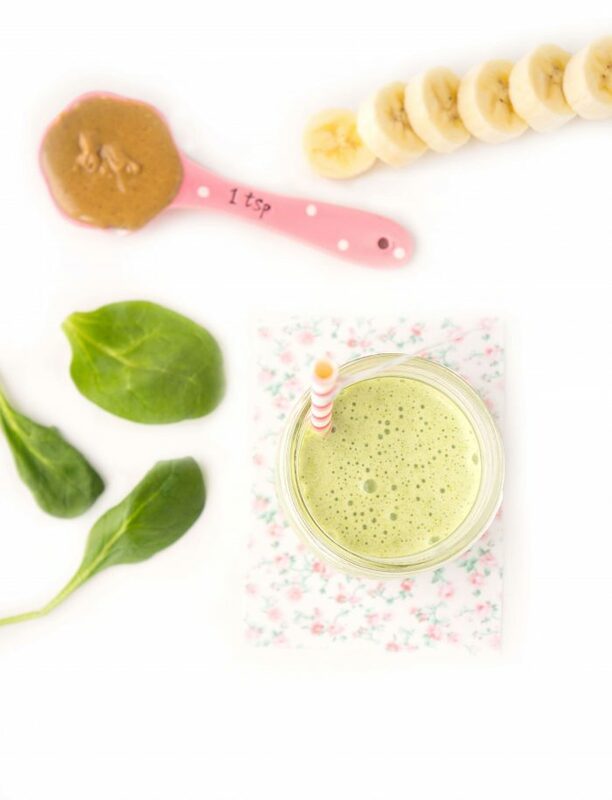 For the banana, go for one that’s extra ripe since that will add more sweetness to the smoothie. If you’ve ever tried adding a non-ripe banana to a smoothie, you probably know that it doesn’t always taste all that pleasant. For optimal taste, the more ripe, the better! When it comes to protein powder, I recommend skipping this for children under the age of four since the extra protein can be hard on their kidneys. For adults and older children, however, you may wish to add a scoop of protein powder to provide some extra protein. I generally like to use a vegan protein powder since once again, dairy isn’t always my friend. My favourite types to use are Genuine Health, and Sunwarrior vegan vanilla protein powder. From a personal standpoint, I find that these have the best taste and texture. But feel free to add in your own favourite protein powder! Next, you can add ice if you’re looking for a thicker and extra refreshing smoothie, or you can also leave it out. It’s up to you! For our little guy, I usually skip the ice and just give him the milk, peanut butter, spinach, and banana. In fact, everytime he hears that Ninja blender going, he runs into the kitchen with a huge smile on his face anticipating his green smoothie. I’ve never seen more enthusiasm for spinach in my whole life! 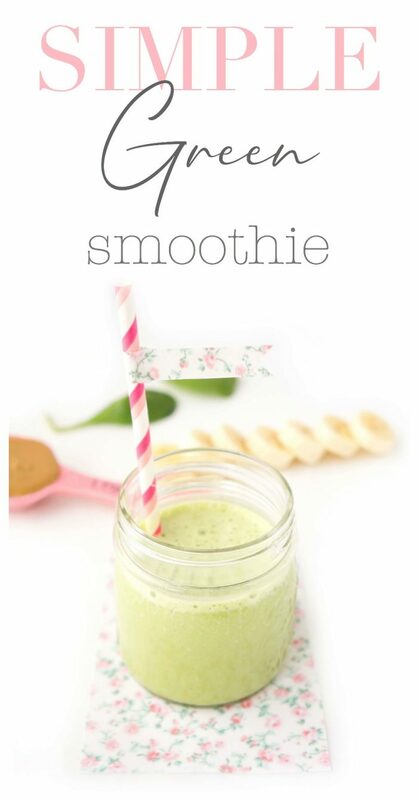 Place all of the ingredients in a blender and blend until smooth and creamy. Serve immediately or store in fridge for later use. You may wish to blend it again before serving. * For babies under the age of two, use whole milk or appropriate substitute. Adults and older children can use whatever milk or milk alternative that they desire. 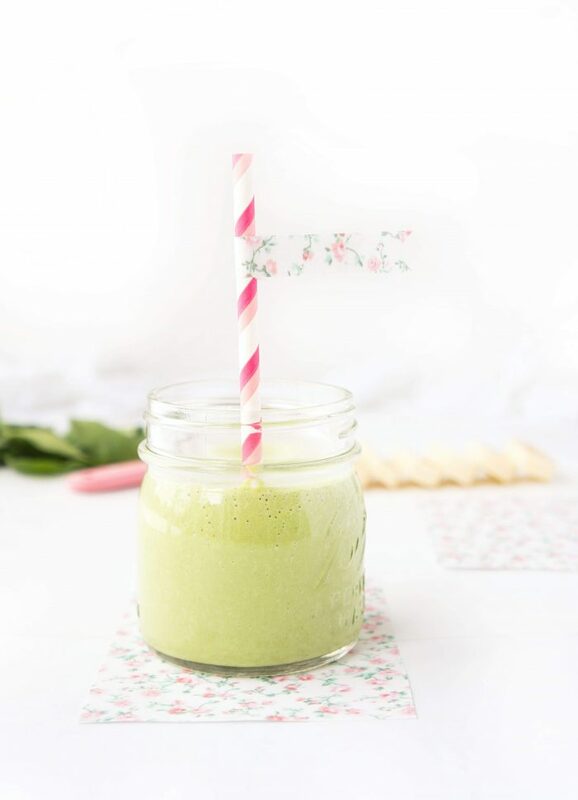 If you have a chance to try out this Simple Green Smoothie, I’d love to see your pics! Tag me on instagram @hauteandhealthyliving and use the hashtag #hauteandhealthy!